A molded cable assembly offers many advantages over non-molded cables. A molded cable assembly can often be the best choice for a wide variety of applications. Using an injection molding process allows custom cable manufacturers to create overmolded assemblies that offer customers better functionality than was previously available. An attractive appearance isn’t the thing our customers are concerned with when creating a cable assembly. But just as with jacketing material, there are a few benefits to producing a cable that matches the appearance of the associated equipment. Colors that coordinate with the equipment can make replacement cables easy to identify in storage. Custom molding also allows branding, like logos and company names, to be incorporated into the mold. Because the cable is molded specifically for your equipment, you can even choose to create a unique shape that offers enhanced functionality or visual appeal. A molded cable assembly is a custom product by its very nature, because your cable assembly manufacturer is creating a mold to your specifications. Depending on your budget and the requirements of your equipment, you can choose from a nearly limitless variety of options, including color, jacketing material, and conductor type. Add to this the ability to create a molded connector that creates a perfect, stable fit for your equipment, and you have a product that will provide you with the best possible results. An overmolded cable can be designed to create seals that are impervious to a wide range of fluids, including water and oil. This allows the finished cable to function in harsher environments with a much lower incidence of premature failure. Additional protection comes from selecting materials that offer resistance to vibration and other types of wear and tear. Working with your cable manufacturer’s engineering team to accurately identify the environmental conditions where the wire will function can result in a molded cable assembly that performs to your expectations. Choosing to design and produce a molded cable assembly allows you to take advantage of materials and technologies that may not be available with a non-molded solution. Working with a custom cable assembly manufacturer experienced in producing high quality overmolded cables gives you the opportunity to create a finished product that can save money while giving you the exact cable you need for your application. If you’re ready to talk about your next project, contact the team at Meridian Cable. We look forward to hearing from you. There are two main options when it comes to shells for terminal connectors on your custom cable: assembled and molded. Choosing between a molded cable assembly and one that must be assembled in the field requires careful consideration to ensure you are making the right decision for your application. When designing a custom cable assembly, there are many options for conductors, insulating materials, jacketing, and so on. All of these choices can affect the performance and durability of the finished cable. However, even the most durable cable is most likely to fail at the terminal point. The process of cutting and fitting the cable with a connector can expose it to damage. Once the terminal is in place, it is frequently the section of cable that is subject to the most twisting, bending, and other stresses. Because of this, the selection of a connector is key to determining the overall success of the cable. Installation – Since cables and connectors are assembled in the field, the experience and knowledge of the technicians performing the installation is very important. Whether using in-house or outsourced personnel, you must ensure that they are properly installing and testing your cable assemblies to prevent failure due to improper installation. Cost – Comparing costs for assembled and overmolded cable assemblies can be tricky. On one hand, assembled cables are less expensive to produce, but you must also factor in labor costs for installations which can add to the overall expense. Repairs – Because these types of cable assemblies are made with multiple components, they can be disassembled for applications when it makes more sense to repair an existing cable assembly than replace it with a new one. Customization – With the range of materials available when designing a molded cable assembly, you are able to produce a cable that is tailored to the specific environmental concerns of your equipment. Fewer Installation Errors – Since no additional assembly is required, a molded cable assembly can be installed quickly with a simple process that minimizes the opportunity for human error. Strength & Flexibility – Cables are subject to additional stresses where they exit the connectors. Overmolded components can be designed to offer additional flex and strain relief to create a cable that is more durable and less susceptible to premature failure. Choosing between an assembled or overmolded cable assembly is an important decision that requires some careful consideration. Meridian Cable is able to produce cables with overmolded components in house, using a wide variety of materials to ensure your finished cable meets the needs of your equipment. If you’re ready to design an overmolded cable assembly, get in touch. We’d love to hear about your project! Molded cables are extremely important but are rarely noticed by those using them. According to Meridian Cable’s owner and resident molded cable assemblies expert Bud Kinzalow, though they can be small, these cables serve large and important purposes. What results from this process are quality molded cables that can stand the test of time. Kinzalow adds, “People use these protective molded cables every day when they grip the plastic on their headphone jacks, plug something into the computer or plug a power cable into the wall.” Created to protect the connection between wires and connectors, molded cables have become ubiquitous not only in the wire and cable industry but also in everyday life. People are able to charge their computers, listen to music and perform other everyday tasks thanks to molded cable assemblies. 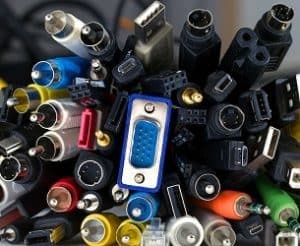 Molded Cables: Who Makes Them? 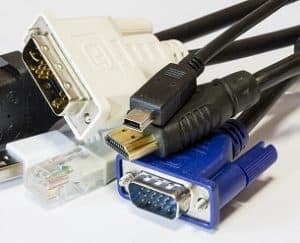 Since molded cables have so many uses, there are numerous manufacturers that can create them to suit varying situations. These manufacturers may turn to custom cable assembly companies like Meridian Cable to design and create custom molded cables for them. It is extremely important to trust the vendor who is designing and making the cables because, though these molded cables can be small and seemingly easy to make, there is in fact a great deal of work that goes into creating perfectly fitted and useful molded cables. If you are an Original Equipment Manufacturer looking for custom molded cables, contact Meridian Cable (www.meridiancable.com) for service from a UL approved manufacturing facility and UL approved distributor of over 50 different types of wire and cable. Meridian Cable is also ISO 9001:2008, cage code and FDA certified. Call us at 1-866-866-0544 to speak with one of our designers and discuss how we can meet your performance specifications for custom molded cable assemblies or view some of our molded component designs.